I joined Google’s User Experience team over a decade ago. Since then, much has changed — technology, how we use it, and Google itself. Now, as a UX Director, I find myself asking, what are the constants in my profession? With so much in flux, what, truly, is my job? Increasingly, I believe it’s enabling collaborating teams to have their eureka moments — the sudden insights, or sparks of energy, that are ultimately the source of creativity and true innovation. This belief might sound counterintuitive. Isn’t the director meant to be the source of a singular vision and then have the team execute on it? Not in my experience at Google. You’re probably familiar with the lore: founded in 1998 by two Stanford PhD students, incorporated in a Palo Alto garage, with server racks built from Lego blocks. What’s less well-known is that several members of the early team, including co-founder Larry Page, had studied in Terri Winograd’s Human Computer Interaction (HCI) group at Stanford. A look inside the first “Google HQ,” recently recreated, down to the smallest details. This early interest in the human side of technology became central to the company’s culture: “Focus on the user and all else will follow” is the first entry in our founding philosophy. 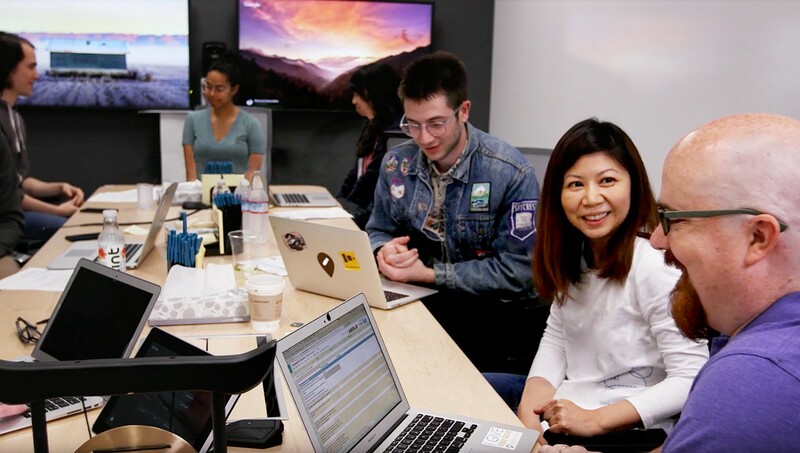 It also set the precedent for Google’s very first user tests in those startup days, which consisted of engineers showing prototypes to students on Stanford’s campus, and gathering feedback. But as Google and its products expanded over the years, this direct and immediate contact with users became harder and harder to maintain. Google’s response was to hire experts, like myself in 2006, to make our products simple, easy, and joyful to use. In those days we also built usability labs — simulated office environments with desktop computers — to test products for ease of use and simplicity. 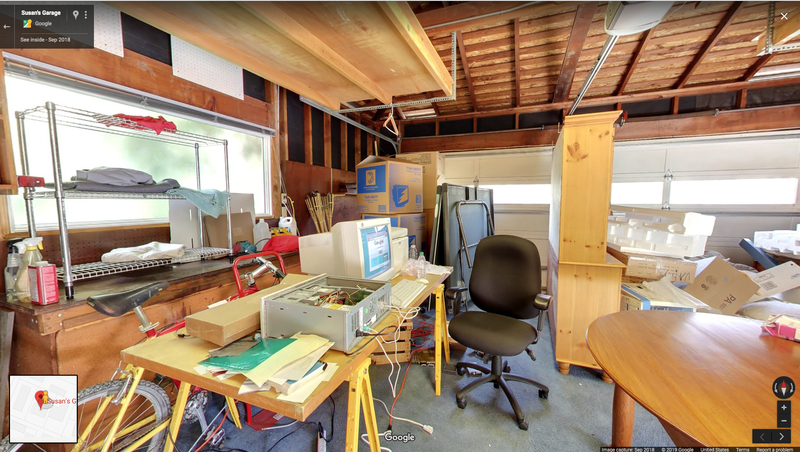 I spent most of my first years at Google in these labs. We’d run our usability tests, and afterward, I would often send annotated prototypes back to designers and engineers, with suggestions for improvements. This process was used to polish many of our products, and it helped Google become known for the simplicity of its designs. Remember, the all-white homepage with a single search box was actually quite radical at a time when most websites were using every single pixel of their pages for content. Though we were becoming very efficient at testing and improving products, there was also a feeling that we had lost some of the spirit of the early startup days, when everyone on the team, not just specialists, had direct contact with the people we built for. What’s more, the labs were located in our own offices, which meant we were in touch with a limited population of people who could easily visit us. When I took over the UX Research team for Google Maps in 2009, an opportunity arose to improve the directions feature. It just seemed wrong to study wayfinding while seated at a desk in a lab, so we took to the streets to observe and talk to people in different environments: mega-cities, rural villages — and everything in-between — in the Americas, Europe, and Asia. We sent the entire team — not just researchers but engineers, product managers, and designers, too — out to investigate. Placed in the field, they got to interview people, note observations, and try navigating by themselves in unfamiliar environments. 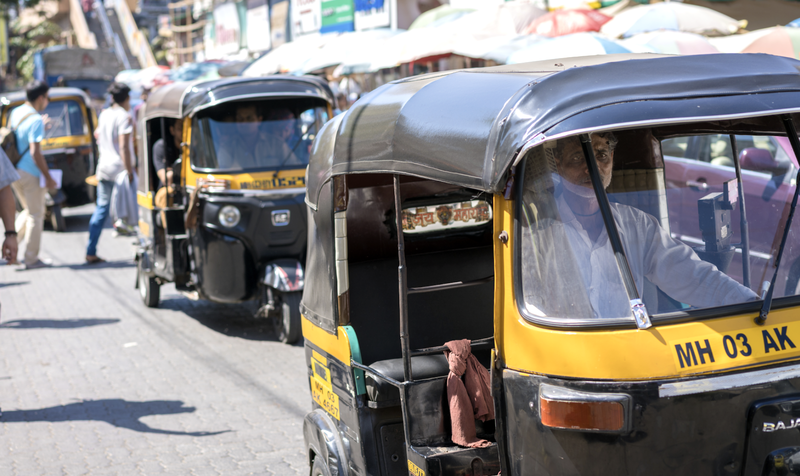 Our teams got to travel by rickshaws, mopeds, cars — the full gamut — across India’s mega-cities to get properly immersed in the local experience. These trips resulted in usability fixes, but more importantly, they were often the seeds for new ideas, new features, or improved functionality that would be taken forward by the engineers and designers who participated in the research and thus felt inspired. One example is with landmarks. While traveling in India, the team noticed most people prefer to use landmarks over road names when giving directions. Even with clearly marked signage, people might say: “Turn right after the petrol station.” This crucial insight, experienced by the team firsthand, allowed us to add landmarks to driving directions in Google Maps. The early trips in 2009 helped improve our product, but they also laid the foundation for a way of working that would take us on many more journeys. What started as a single undertaking became a pattern of team immersion trips, and we’ve since built many products and features in this way. 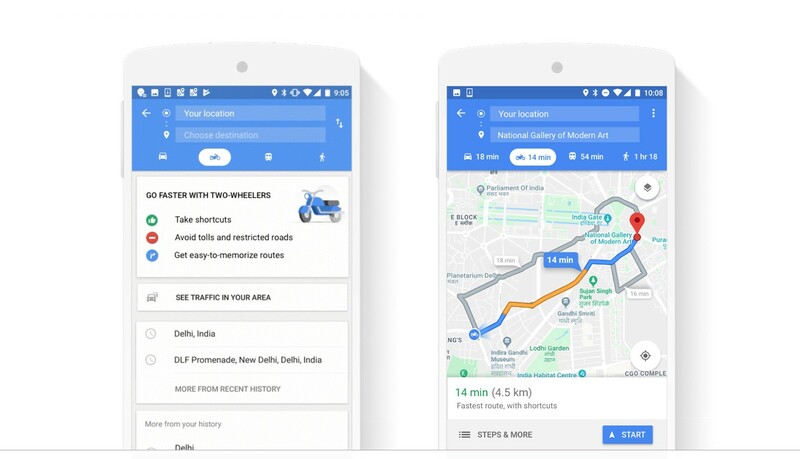 Two-wheeler navigation, a new search experience in Google Go, and Google Maps commuter features are just a few recent examples. The two-wheeler directions feature was inspired by full-team immersion trips and built in close collaboration with our users. Why do we place so much emphasis on field trips, team immersion, and direct contact with our users? After all, we already know a lot through metrics and market reports. Maria Montessori revolutionized education over a century ago. She had discovered that students learn better from each other through experimentation, often outside the classroom, and — most importantly — when they are allowed to make mistakes, have their own epiphanies and eureka moments. These moments, when everything suddenly falls into place, provide the enthusiasm and motivation for learning. This isn’t just true for students; sparks of insights are just as essential for anyone working towards innovation. I’ll explain why. Creative jobs are sometimes portrayed as fairy-tale professions where everyone sits in architecturally stunning offices, walls covered in colorful post-its, having one great idea after the other. The hard truth is that the road to innovation winds past many failed attempts, goes through valleys of doubt and uncertainty, and has many forks with no signposts. Without the energy released by eureka moments, it’s hard to sustain the momentum required to “stay the course” and achieve true innovation. What creates the most energy and momentum in a team is a sense that they’ve had a meaningful breakthrough, often after a frustrating period of failing to see the forest for the trees. What leads to eureka moments? In my experience it comes back to three things: first, participation — being part of the insights gathering and sense-making; second, empathy — establishing a human connection with the people we’re designing for; and finally, intuition — the ability to detect patterns and form insights, often honed through years of experience. We can go through hundreds of pages of slide decks with market insights and trend projections, and watch hours worth of video footage. But in the end, what creates the most energy and momentum in a team is a sense that they’ve had a meaningful breakthrough, often after a frustrating period of failing to see the forest for the trees. This active form of insight gathering is much more powerful than absorbing someone else’s report. The second trigger for eureka moments is having direct, first-hand encounters with people from outside your own social circles. People with different backgrounds and interests, who live differently, and have unique needs and perspectives. Establishing a human connection with others widens our frame of reference, and gives us a level of empathy and understanding that is otherwise difficult to gain. Most critically, it also provides energy and a sense of purpose for the hard work and struggles that eventually lead to creative solutions. Of course, we do all the other things as well: we synthesize data and do large-scale surveys. Without grounding in metrics, quant data, and careful context setting, there is a risk that the eureka moments we create are just a firework of energy — bright, dazzling, and good entertainment, but without lasting, meaningful effect. Metrics are vital because they allow us to test ideas formed from direct observation, and they also help us decide where to look. But there’s also a risk of over-relying on them. With readily available quantified data, we may optimize for what is easy to count vs. what truly counts — for what’s measurable vs. what matters. From my experience over the years, I believe identifying and defining what matters also requires our human powers of intuition; and intuition is built from years of varied experiences and learning — and often gets triggered through direct participation and exploration. In the early days, Google engineers got feedback on their prototypes in direct conversations with people at Stanford. We recently wondered: how do we bring back what the 20 person Google did, when we currently have nearly 100,000 employees? This is how Meet the User was born. We now regularly invite users of our products to come and meet the engineers who build them. For one afternoon, our guests explain to our engineers how they actually use the products, how they fit into their lives, and what they think could be better. So far we’ve had over 2,000 colleagues “meet their user” one-on-one in our offices worldwide. Googlers typically start off feeling somewhat skeptical: “What is this visitor going to teach me about my product?” Then the conversations happen, and the energy in the room is transformed — pre-conceptions are shattered, world views changed, and afterward everyone is keen to share unique insights from their one-on-ones. I’ve run some of these sessions myself, and they’ve been among the most satisfying moments of my career. The world — and technology — will continue to change. Our profession will go on reinventing itself. After moving from the web to mobile and now to AI, it might be hard to see what the stable foundations will be, what the essence of our profession really is. I believe creativity that’s inspired by empathy and supported by data and intuition will be one of those stable pillars that remain intact throughout these changes — and not just for product design and research, but business more broadly. From a more personal standpoint, the last decade working in and growing Google’s UX team has taught me a lot about how to create an environment that’s fertile to creativity and innovation within a culture that prizes engineering excellence. Interestingly, this has often meant leaving my own “expert” status at the door and instead enabling my team members and product team partners to have their own epiphanies. That is, to create situations that let them gain new and memorable insights, to experience the dopamine release that comes from making their own discovery, which then provides the energy to see an idea through to implementation. I believe what has worked well here at Google is likely to work in other organizations because it speaks to a fundamentally human joy we experience when we reach a new level of understanding — from our own observations, and yes, our own struggles and epiphanies. This post is an extension of some thoughts I’ve been exploring at the 2018 Web Summit in Lisbon and 4YFN/MWC in Barcelona. In my day job, I’m leading UX strategy & operations teams for sumUX (Search, Assistant, and News), as well as UX infrastructure across Google. I have a passion for art and science, as well as stats and empathy, and have found Google a great place to bring these together. Follow me on Twitter & LinkedIn.